Samsung announced two of its highly anticipated devices, the Samsung Galaxy S6 and Galaxy S6 Edge at the MWC 2015 held at Barcelona. Samsung now announced officially that pre-orders for the two devices will roll out from March 27, 2015 for United States. The sale of the pre-orders will start from 10th of April. Now let us inform you that as of now, only three colors will be made available. These are Black Sapphire, Gold Platinum and White Pearl. Apart from these three variants will launch for pre-order sale which include 32 GB, 64 GB and 128 GB models. So if you were excited to have a blue Topaz or a grenn emarald, you will have to wait for sometime. We had already discussed about the specs of the two devices from the teaser launch and you can read it here. To recapitulate, Samsung Galaxy S6 and S6 Edge will sport 14nm Exynos 7420 SoC, 5.1″ 577 PPI OLED QHD displays, 3GB of low power RAM, 16MP rear camera and 5 MP of front facing camera equipped with Optical Image Stabilization. We have completely reimagined the Galaxy experience from the ground up by listening to what matters most to our customers, the Galaxy S 6 and Galaxy S 6 edge are more than just beautiful – they’re better. We’ve improved the smartphone essentials – camera, battery, display – and redesigned the phone experience so our consumer and business users are empowered to do more. Now let’s have a look at the carriers which will boost the devices. AT&T, Sprint, T-Mobile, U.S. Cellular and Verizon Wireless will support both the Galaxy S6 and Galaxy S6 edge. 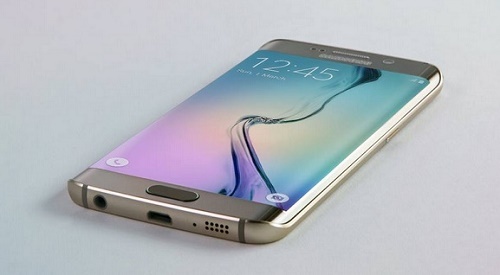 Boost Mobile, Cricket Wireless and MetroPCS will offer only Galaxy S6. T-Mobile will also promote one year of Netflix for free along with the purchase of a Samsung Galaxy S6.